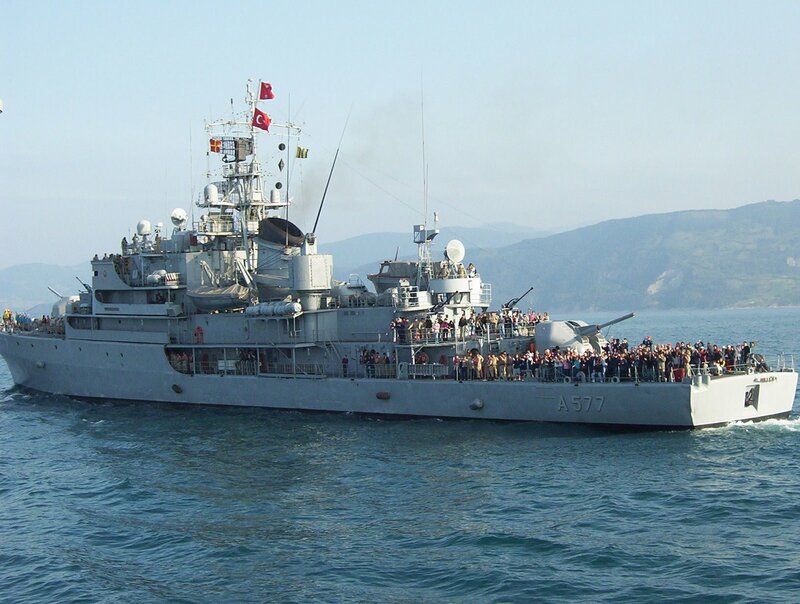 >On 29th January 2009 Turkish defense procurement agency Undersecretariat for Defense Industries a Request for Information (RfI) document about a schooner type ship. Turkish Navy wants to have 2 three masted schooner type training ships. In the last Defence Industry Executive Committee meeting green light was given for this project. Thus the invitation for the RfI is not surprising. Currently two old ex-German supply ships are used for the training cruises of the naval cadets. There are also about 10 sailing yachts at the Turkish Naval Academy. But these assets are not sufficient. I personally look forward to see these schooners in service. I believe that only sailing can teach a young and aspiring sea cadet about the forces that will shape his/her life in the coming twenty – thirty years. There is no better way than sailing and challenging the elements, in order to develop good ship handling skills and a feeling for the sea. Today’s naval war fighting has become something like an arcade game. All command, control and communication are done in the bowels of the ship. Yet a commander of any kind of warship must be a sailor first. Otherwise he/she will not be able to sail his/her ship in the harms way successfully. For me sailing on a sail ships will be a good education for the future officers of the Turkish Navy. Apart from this obvious benefit these schooners will have other benefits as well. I suppose there are not many people that are not impressed when they see a tall ship sailing into their port. 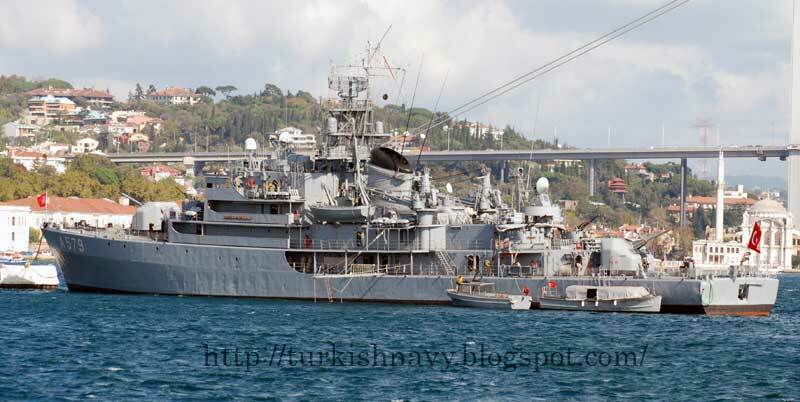 In terms of naval soft power these schooners will a force multiplier for Turkish Navy. 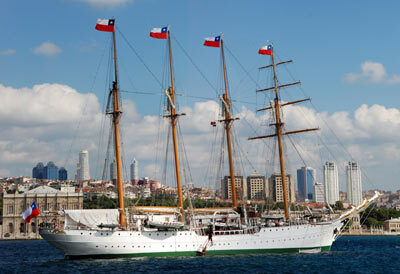 Chilean training ship Esmeralda in Istanbul, showing the flag. Despite her notorious history tainted with human right abuses and torture in Pinochet era she is still a very impressive ship. One Response to >Schooners for Turkish Navy.